Update: the book is out, with the full-length chapter on blockchains in music! Spotify’s been on a bit of a spending spree lately, acquiring content identifiers Sonalytic and recommendations app MightyTV, and now Blockchain company Mediachain Labs. I specify “Blockchain” with a capital B and no article, because that’s the sure tell that there’s no evidence anyone involved has any idea how this thing is going to work or do anything. The problem Spotify have is that nobody knows who the hell owns a lot of the songs. Streaming produces a veritable firehose of data that looks like what publishers and record companies want — the usually-wrong idea that if you only had more data you could solve all your problems! — but is actually of questionable quality, and the collection societies are getting buried in it. The data is problematic enough that Spotify just settled one suit over this with a $30 million payment. I’m presuming that, despite the hype, Spotify don’t actually want Mediachain for blockchains, but for things like the attribution engine and the quest to get cleaned-up and useful data out of people, because there’s no way the Blockchain stuff can scale to workability in practice. 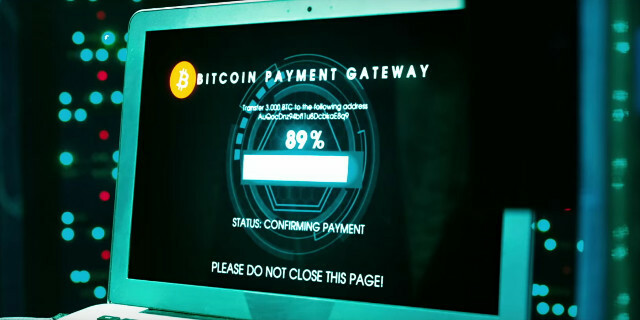 The way Blockchain hype works is that advocates promise all sorts of unlikely outcomes — money directly deposited in artists’ accounts directly upon an iTunes purchase or Spotify play, transactions that occur “nearly instantaneously” (“in less than one second” — an unworkably short block time, but that’s the least of the idea’s problems) and directly, without intermediaries. All you need to do is clean up the data, and you get all the magical stuff! It’s not just music — across many industries, the main Blockchain promise is magic after full availability of properly cleaned-up data. The actual problem in every case is cleaning up the data at all. The proponents’ business goal is to become the organisation controlling the newly cleaned-up data, with a monopoly maintained by network effect. The barrier that such efforts founder on, over and over, is that no industry’s players want to create a new central octopus. No single blockchain can possibly scale to the whole music industry. Spotify played a billion streams a day by mid-2015. Apart from the metadata itself being huge, there’s the encoded details of all the hundred-page contracts. And who will pay for the computing resources to execute all the smart contracts for each song played? “Where there’s a hit, there’s a writ.” You sue and win. How is the “immutable” blockchain corrected? What’s your security threat model? This one never seems to be mentioned, and we’re talking about real-world money here. How is your blockchain kept secure against hostile attackers, say, someone who has the money to bring a 51% attack against a Proof of Work secured chain? How will you clean up the mess after an attacker uses bugs in your smart contract language that they knew existed and you didn’t? Every real-world attempt to do this has fallen flat on its face. 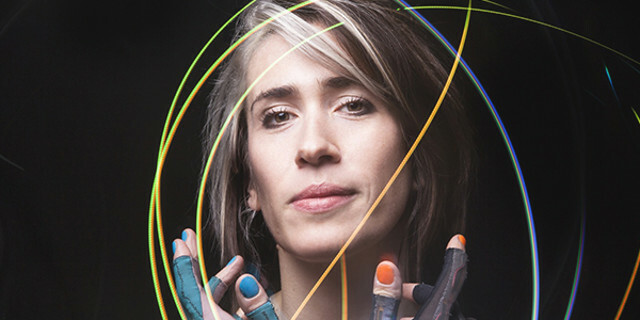 Imogen Heap’s hugely hyped Mycelium initiative for “Tiny Human” took in a total of … one hundred and thirty-three dollars and twenty cents. It literally got more press articles than sales. The number “133.20” needs to be burnt into the music industry’s collective consciousness until the end of time. Music collection societies tried to create a Global Repertoire Database in the early 2010s, but scrapped the idea in 2014, as nobody wanted to create and fund a new central octopus, even though they all knew they desperately needed something that did this job. I’ve noted before that the only music industry blockchain paper I’ve seen that isn’t garbage (and in the course of writing a book on Blockchain I have read thousands of pages of the worst and stupidest white papers you could imagine) is Blockchain or the Chaingang? by Jeremy Silver. It’s not technically perfect, but it points out the bloody obvious reasons that most music industry blockchain dreams are simply infeasible. In large part due to the inherent fault lines within the topic itself, the lab turned away from seeking “solutions” to discussing concepts such as “copyright”, “ownership” and “security”, as such words can take on very different meanings based on one’s professional background and personal frames. Differences in perception revealed seemingly intractable disagreements that were unlikely to be resolved in a weeklong discussion about an incredibly complex technology. One problem nobody seems to mention: incumbents will treat technological change as a threat and resist it as bitterly as they have every other technology. Silver notes major labels refusing to look at BitTorrent data his firm Semetric was offering them, even though it was an excellent predictor of sales, for fear of appearing to validate BitTorrent in any manner. And the other problem: the record companies are still way too interested in keeping their actual deals secret. Because, as IBM was actually surprised to find out with their Hyperledger blockchain project, real-life businesses of all sorts don’t want to share data even with all participants in their blockchain, but only with the people each specific deal is actually with. Funnily enough. This is not how any of this works. cheers :-) I don’t think we’re disagreeing hugely. The record and publishing industry are painfully aware they need a Global Repertoire Database or something very like it, and need to make it happen. My main point is (a) blockchains are a mostly-bad technology that can pretty much always be replaced with a centralised database (b) the database technology won’t clean up the data for you. I think you are missing the point, and that is that it is a technology to create a new music industry where artists can stream/sell/etc direct to fans. It is not meant to appeal to the vulture/parasite middlemen of the current industry as it is meant to eliminate them. Some of the problems you mention are solved by Musicoin. Though, as in the Imogen Heap example, it is the too steep technological leaning curve of this new technology that keeps it inaccessible to most music fans. Sooner or later an easy to use “napster” style app will come along. Until then, only the geeks can play. I say let’s see what they can come up with next. They have given us a lot that we didn’t expect before. Currently musicoin pays artists $0.01 per stream, about 3 times as much as Spotify. I understand that’s the aim, I’m saying it is not feasible to do this on a blockchain. This means it turns into a false promise put forward by hustlers – who may or may not even understand that it can’t possibly work. I note you’re not answering any of the four bullet points there.